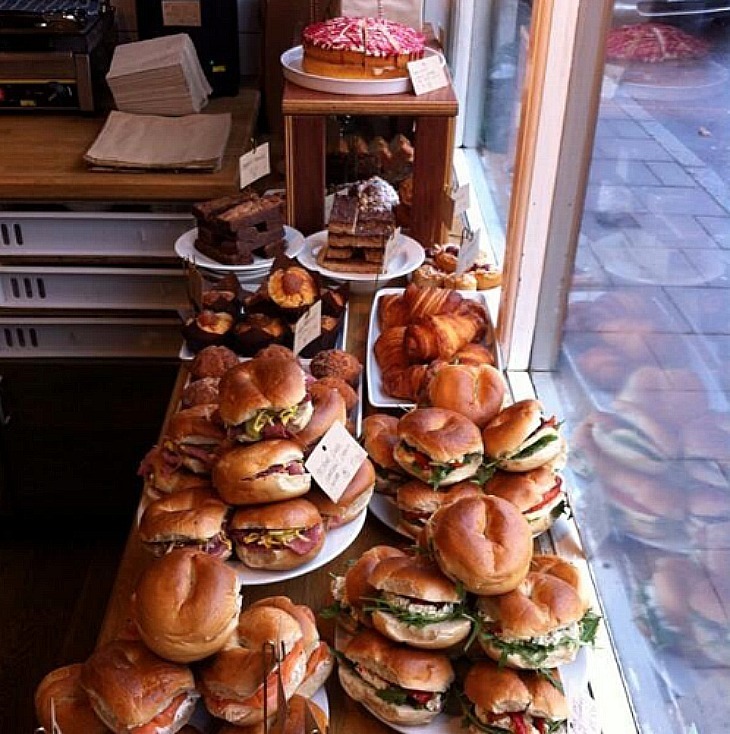 These are our very favourite sandwiches in south London. For those looking for something more comprehensive, check out our list of the 100 best sandwiches in London. The magnificent Reuben at Monty's Deli. 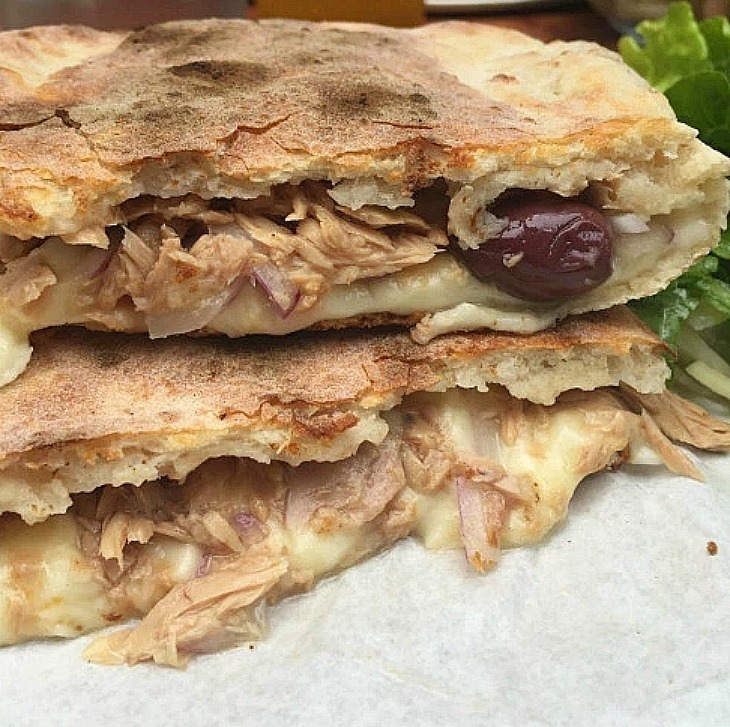 A panuozzo is basically a Neopolitan wood-fired sandwich. Theo's pizzeria only have them on the menu at weekday lunchtimes but if you work or live nearby then you are in luck. We particularly love the tuna version — it's the quality of ingredients that make this a winner — Ortiz tuna, which is essentially very high quality tinned tuna, not student jacket potato material. There's chilli and onion for little bursts of electric bite and there are plump, shiny black olives. Oh, and there's plenty of cheese. Who knew a tuna melt could actually be any good? For dessert, ice cream panuozzo are sometimes available. Who says we can't have two sandwich courses? The tuna melt gets a makeover at Theo's. It's probably the best salt beef sandwich in London. 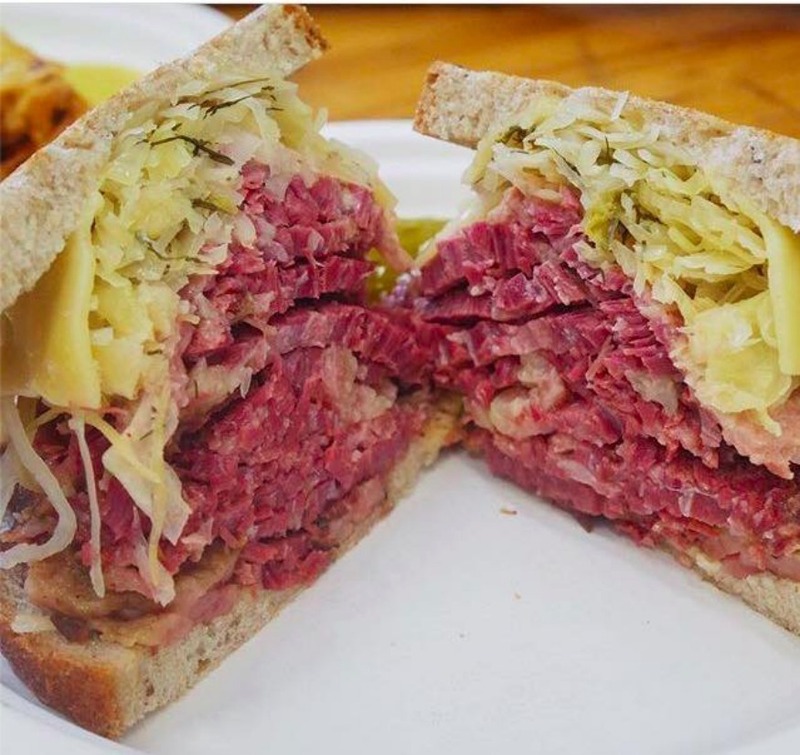 Monty's Jewish deli has gone from strength to strength. So much so in fact. they've launched a Kickstarter to fund the build of a new restaurant, so they can serve their food seven days a week (at the moment they have an arch at Druid Street market at weekends). These guys make everything, from the beef to the mustard, and it shows. Also check out their bagels which are stunning, with perfect bubbled crusts. Fresh from the tandoor at Asian Takeaway. We love that this place is still going strong. 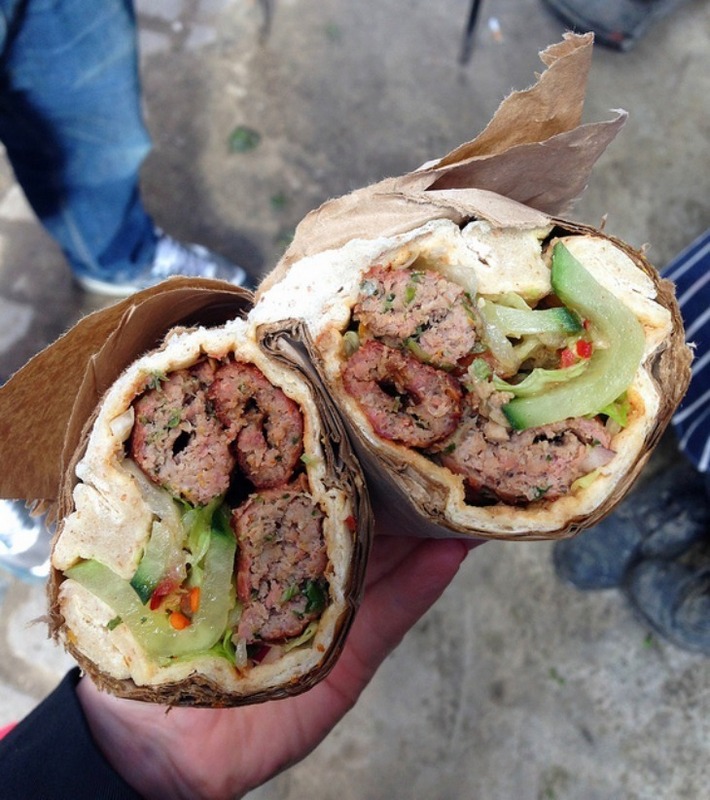 Is it the best kebab in London? Well, no, but it's just so splendidly spiced. Clear, fresh, distinct flavours sing amongst the fatty lamb (we're talking proper minced meat skewers here, not salmonella shavings). It comes cuddled in one of their cooked-on-the-spot naan breads with salad and chutney. It's such good value for money and a great example of 'old Peckham' when hole in the wall places would pop up every other month. Help keep them going by eating this wrap. It's all in the mustard mix at Pigeon Hole. We adore the toasted cheese at Kappacasein of course — it's a south London classic. But there's something about this sandwich. At first, this seems like just a regular sandwich, not too much to write home about. Plus it has this weird cheese mixture inside that just looks kind of wrong. But the secret to this sandwich is stealth; it takes its time to grip hold, but once it does you're hooked. The sandwich has mustard, but it's all mixed in with the cheese — a nice touch, giving it all-over flavour rather than hold-your-nostrils punch. 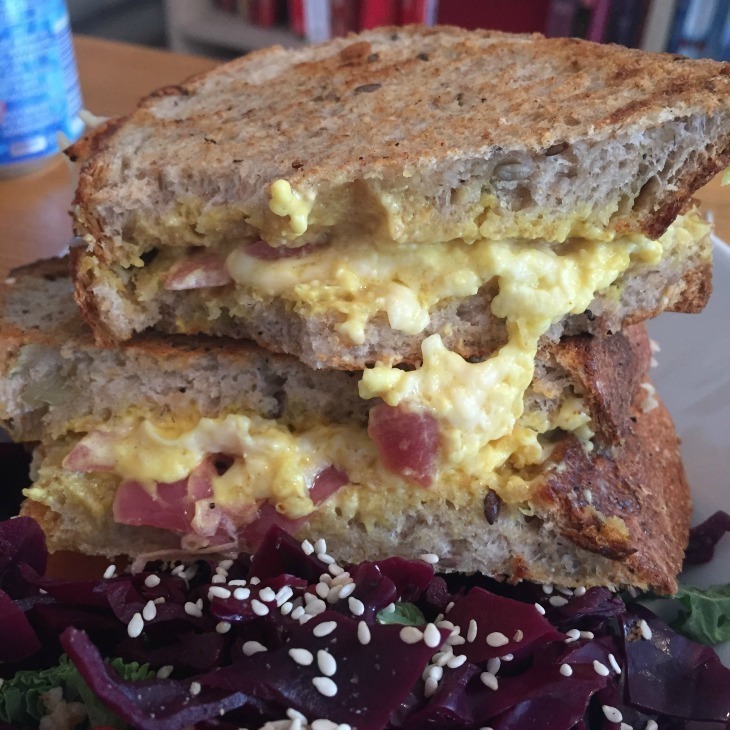 It's on granary bread, which sounds kinda gross but actually makes a nice wholesome counterpoint to the cheese packed inside and then, there are quick pickled red onions, which bring just enough acidity to make everything work. Bagels at Brown's of Brockley. Hard to resist. We love how Brown's of Brockley really pay attention to detail when it comes to building sandwiches. They know well that a good sandwich has many contrasting textures and flavours. They riff on a regular cheese and onion, for example, by adding roast broccoli to brie and onions that have been lightly pickled. Their cured beef comes with roasted garlic mayo, and their goats' cheese number has pickled beetroot and lemon thyme oil. The selection changes regularly. The food scene in Croydon has been significantly improved in one fell swoop by the opening of Boxpark, which was very loud by all accounts (they opened with a two-day grime festival). It's massive, with 80 shipping containers, and is significantly cooler than its Shoreditch counterpart which is, frankly, crap. 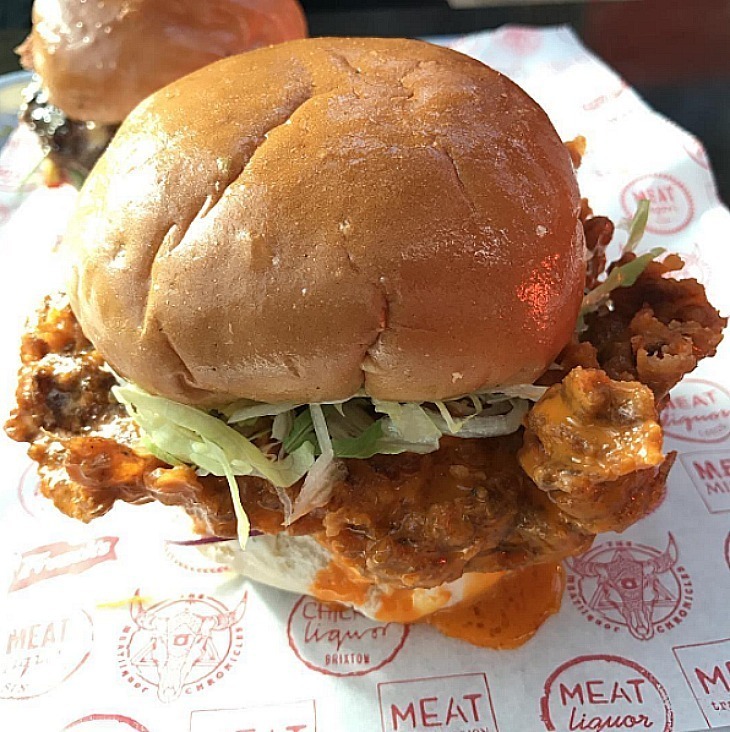 The buffalo chicken burger is a must for all lovers of that butter 'n' hot sauce combo, with the craggiest of deep fried chicken fillets — all the better for that sauce to cling to. The salt fish Bokit at Bokit La. We love these Guadeloupian guys, who sell their traditional sandwiches at Brixton market every Friday. 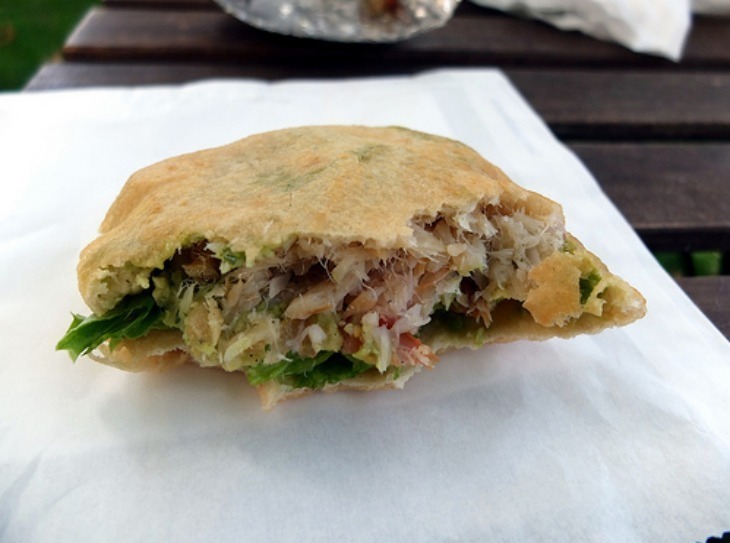 Our favourite is the salt fish, which comes packed into a bread pocket with salad and your choice of hot sauce — we recommend the hot one even though they will warn you that it is 'very hot'. They're not joking, but it has great flavour too. Plus, their mum makes the hot sauces. That's awesome.